Like every other part of the body, teeth need the proper nourishment to stay strong. 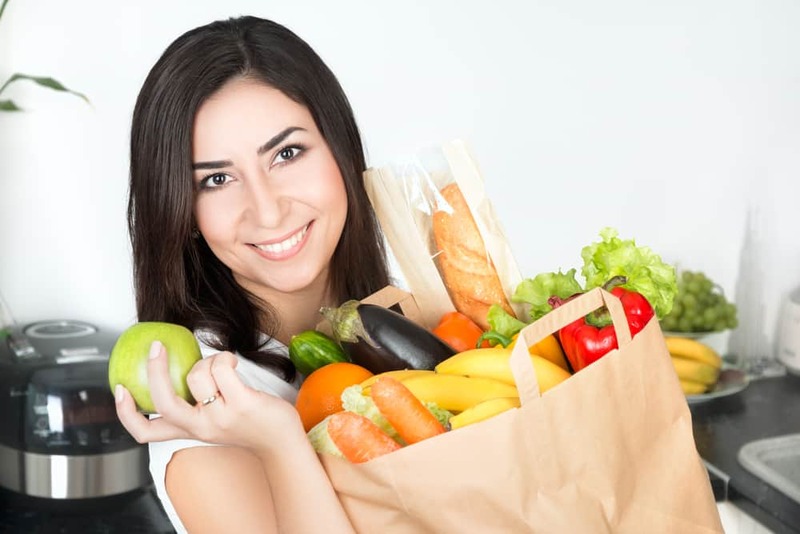 A varied and nutritious diet benefits all the systems in your body, and there are a few vitamins and minerals that particularly support your teeth. Eating and drinking for oral health is one preventive strategy that can help decrease the risk of tooth decay, gum disease and other issues. While no diet can promise healthy teeth throughout your life, there is no reason to ignore food and beverage strategies that benefit your oral health. A tooth-friendly diet includes adequate supplies of calcium and phosphorus. The dentin in your teeth (the layer just under the tooth enamel) uses these minerals to replenish the enamel layer of each tooth. Strong enamel means more protection against the natural bacteria, acids and enzymes that circulate around your teeth. Dairy products and salmon, along with some nuts and other foods are good sources of both phosphorus and calcium. Other foods provide high levels of the minerals individually. Websites can offer nutrition information and recipes so you can try cooking (or ordering) different foods to emphasize the minerals needed for healthy teeth. Water, water and more water is a top tip for dental health. Water helps rinse and clean the mouth, and it doesn’t contain sugar, which means it doesn’t support the development of dental plaque. Water is also free of added colors and acidic flavorings, both of which can be hard on tooth enamel. Along with what you eat and drink, how you eat and drink can make a difference to your teeth. Gnawing on bones (no matter how delicious the barbeque) or other hard objects puts unnecessary stress on your teeth and could eventually lead to a chip or crack that will need restorative treatment. If you are treating yourself to a sweet treat, don’t nibble on it all day. Enjoy it, then rinse with water, or brush if practical. If you are drinking sports beverages, sugary drinks or dark colored sodas (even diet sodas) use a straw when possible. If enjoying a strongly covered beverage that doesn’t work with a straw, such as red wine or hot tea, try to minimize the time it stays in contact with your teeth. Michael J. Young, DDS, and his skilled team of dental care professionals happily serve patients and their families, living in Breaux Bridge, Broussard, Scott, Youngsville, and surrounding communities. To learn more, contact us today at our Lafayette, LA dentist’s office at 337-237-6453.